OAKLAND -- Too many defensive lapses, too many turnovers and too many missed shots were too much for the Warriors to overcome Tuesday night at Oracle Arena. 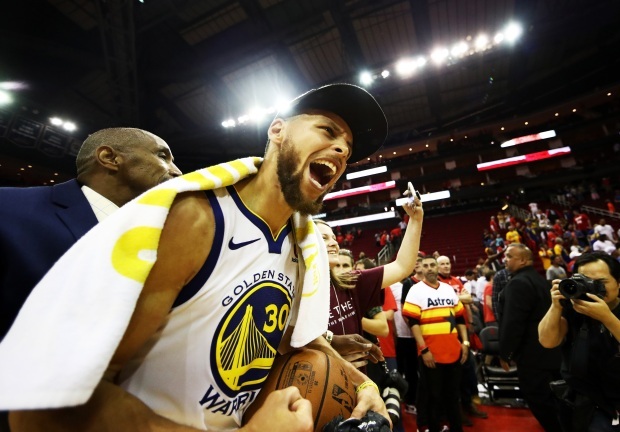 The result was a 95-92 loss to the Houston Rockets in Game 4 of the Western Conference Finals that leaves the best-of-seven series tied at two games apiece. Stephen Curry totaled 28 points and Kevin Durant put in 27. But those two, along with Klay Thompson, combined for 23-of-63 shooting against a solid Houston defense. Unable to find any rhythm or pace down the stretch, the Warriors were 3-of-18 from the field in the fourth quarter, during which they were outscored 25-12. 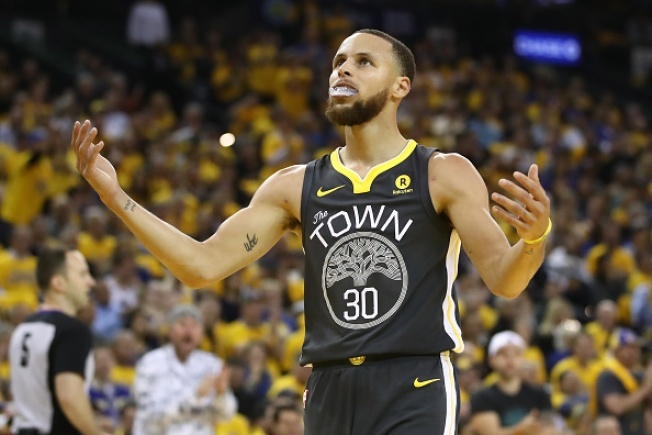 STANDOUT PERFORMER: With the Warriors trailing for most of the second and third quarters, Curry came alive, giving them a 10-point lead they could not hold. Curry’s line: 28 points (10-of-26 shooting from the field, including 6-of-13 beyond the arc, 2-of-2 from the line), six rebounds, two assists and two steals. He played 38 minutes and finished plus-10. TURNING POINT: After the Warriors took an 80-70 lead into the fourth quarter, Houston reeled off a 21-6 run, taking a 91-86 lead with 3:30 to play. The Warriors pulled within two, 94-92, on a free throw by Draymond Green with 37.7 seconds remaining. A Chris Paul free throw made it 95-92 inside the final second. The Warriors had one last shot, a Curry 3-pointer from the corner that bounced off the rim after the horn sounded. INJURY UPDATE: Warriors in-game: Thompson sustained a strained left knee in the second quarter but was able to return to the game. Warriors pregame: F Andre Iguodala (L lateral leg contusion) was listed as questionable and downgraded to out prior to tipoff. G Pat McCaw (lumbar spine contusion) is listed as out. WHAT’S NEXT: Game 5 is scheduled for Thursday. Pregame coverage on NBC Sports Bay Area begins at 4:30 p.m. Pacific, with tipoff at Toyota Center set for 6 p.m.